[Wendy] also wore her mother’s long bathrobe and had this crazy-looking fur thing wrapped around her neck. It had eyes, paws, a tail and everything. “Animals are for loving, not wearing,” I told her. Books: they are made from animals. Not like this. (Via 7gadgets.com; click to visit. These days, most books are actually made of some combination of paper, cloth, and/or plastic. Animal products are rare, and mostly consist of various kinds of leather used in fancy-schmancy gift editions (or attempted forgeries). Back in the day, however, animal products were more common than not, and knowing your animals is a big part of knowing how to navigate the world of rare books. 1. Vellum: Why Does It Talk Like a Lamb? Western Europe was one of the last places in the world to figure out the mystery of paper. Prior to the Papered Revolution, books were scarce, and the ones that did exist (along with other things deemed necessary to write down) generally consisted of vellum pages between wooden covers. The word “vellum” comes from the French for “calf” (the same place we get the word “veal”), and vellum is usually made of the skin of wee cows, although it can also be made from the skin of lambs, kid goats, or other creatures. The best-quality vellum is made from the skins of stillborn calves or sheep, but even a fully-grown sheep only produces about six pages’ worth of vellum. Making a book thus required sacrificing an entire hillside of sheep, along with their wool-producing abilities and meat (which couldn’t be reliably stored), and it wasn’t an option for anyone who didn’t own a hillside of disposable sheep – which, in 15th-century Europe, was pretty much everyone. It is; but “calf,” which not surprisingly comes from calves, usually describes the animal skin used in the binding of a book, rather than what the pages are made from. Being relatively smooth, calf can and is treated to a number of different effects, including being dyed a vast number of shades (though not so many as “buckram,” which is not an animal at all). My personal favorite is “law calf,” a particularly ugly shade of calf used once upon a time to bind law books – presumably, so that law students would have no excuse to waste time examining the color of the binding instead of studying. Several types of animal-sourced book materials are named after the place from which they originated, or at least the place where English booksellers thought they originated. “Morocco” is made from the skin of a goat, regardless of where the goat is raised – although northern Africa still produces some of the world’s best morocco. One of the suburbs of my hometown announces itself on its sign as “Parchment: The Paper City,” and in fact it was the home of a paper mill, one of the many that contributed to the local Superfund site, for a number of years. Perhaps this is why my mother was always so careful to specify that she used “parchment paper” in cooking. Unlike the previous four entires, mice, bookworms (actually the larval stage of a number of different insects, all book-eating), and silverfish are not used in the production of books. Instead, they’re frequent companions, especially of older books. While you’re not likely (one hopes) to find mice in your books, bookworms and silverfish can infest an entire collection. Other insects, including termites, can render a book collection to dust in a surprisingly short amount of time. 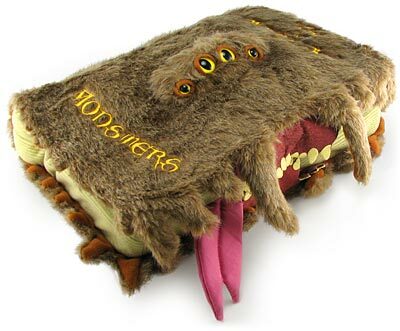 Perhaps the hardest infestation to kill is bedbugs, which aren’t interested in the books themselves but which find books a cozy space to hide when they’re not sucking the local sleeping human population dry. Most bedbug experts recommend saving books by baking them in an oven at 250 degrees or so, but this is almost guaranteed to melt the glue off case-bound books and kill the animal parts of any other book. After the customers have done their shopping, they can be questioned whether they like the deals and what all they await, this will give them a warm affecting that the retailers are concerned about the customers and regards their view and will also help to meliorate deals for attracting more of the website exchange or sale of commodities.